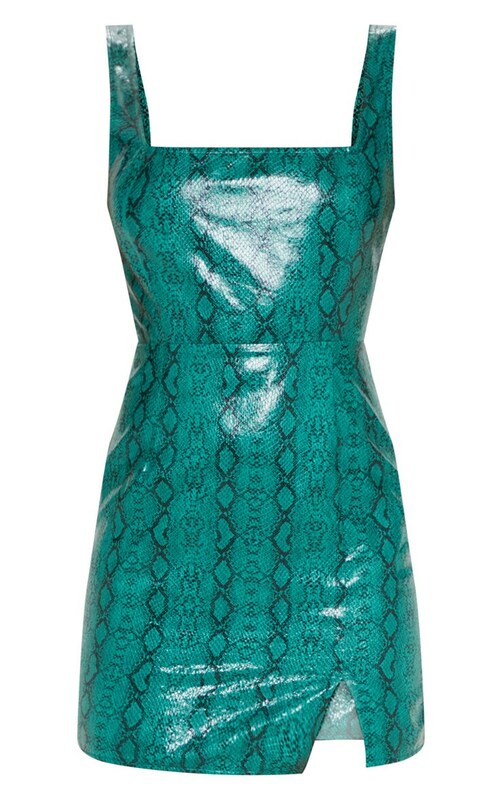 We are obsessing over all things animal print right now and this bodycon dress is at the top of our hit-list. 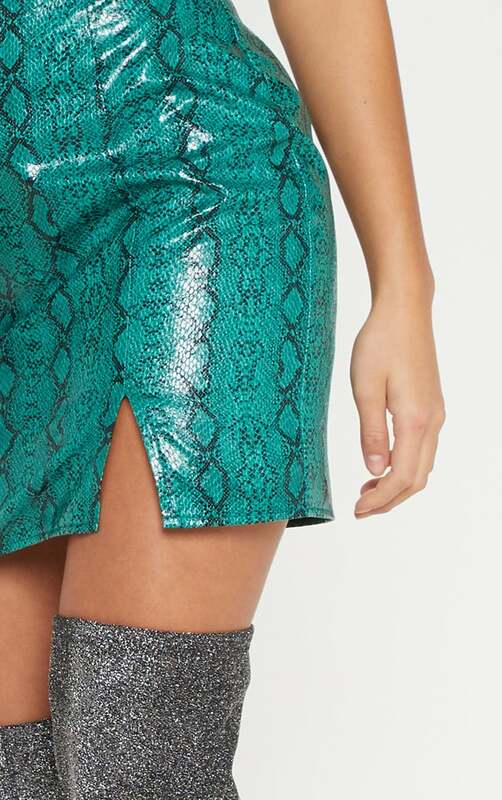 Featuring a green PU snake print fabric with a straight neckline and bodycon fit, what's not to love? Style with over the knee boots and a mini handle bag for a look we're obsessing over.